The role of tables in a home very distinctive! 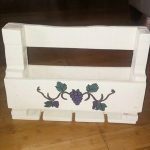 They can be set to any mode for functional and decorative use and hence are always to add to a home interior! Every dwelling contains some different types of tables that plays different roles for overall better performance of a home and gives maturity to all interior environments! Just given a creative twist to your thoughts and gain beautiful wooden tables for your home by reclaiming the pallets! 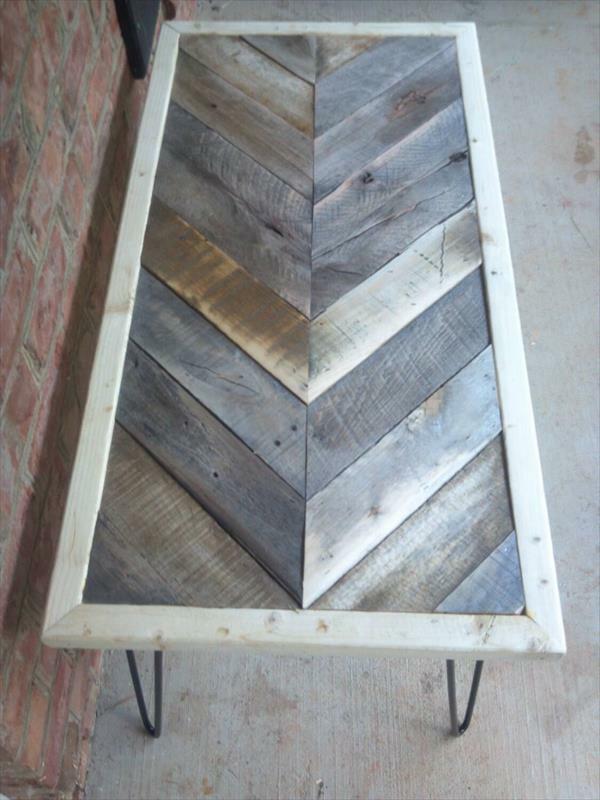 Pallets are playing a significant role in DIY projects of recycling and this DIY pallet chevron table with metal hairpin legs is what you can easily achieve with pallets! Dismantle the pallets first to make all your construction work easy as straight pallets boards just make it be stacked or packed in any way to gain the targeted results! 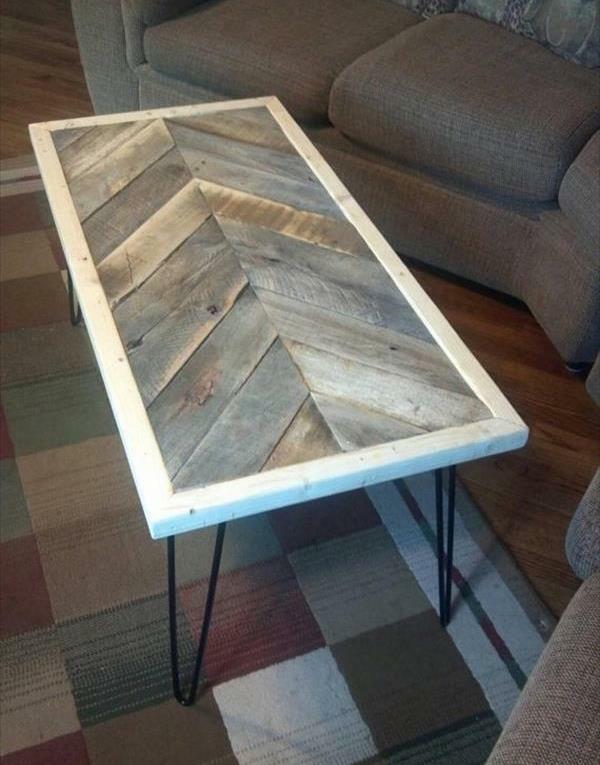 By giving some sharp cuts to the ends of straight pallet boards, chevron pattern has been created that has been trimmed with an additional wooden border to give a pleasing tabletop! 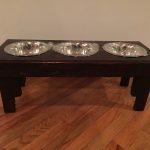 Tabletop has been finished with black painted metal legs to obtain a delicious table design which can be used in multiple ways!